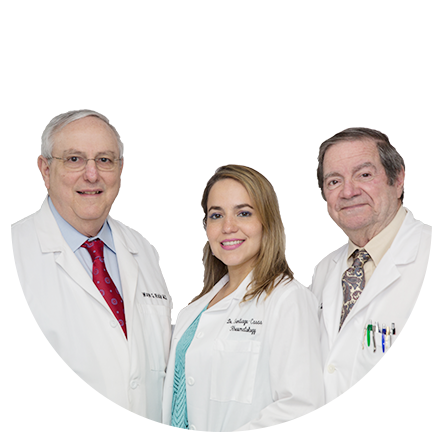 Our physicians are widely recognized as three of the best rheumatologists in South Florida. Both Dr. Kahn and Dr. Riskin have received the honor of being named Florida Super Doctors and were included in the Super Doctors Magazine South Florida 2012 Edition under rheumatology. Our physicians each have more than 30 years of experience treating patients with rheumatic disorders including- Osteoporosis, Osteoarthritis, Autoimmune Diseases, Carpal Tunnel Syndrome, Fibromyalgia, Lupus, Rheumatoid Arthritis, Paget’s Disease, Polymyalgia Rheumatica, Sjogren’s, as well as many others. They understand the challenges patients living with these conditions face. They work with each patient to create a customized treatment plan that may include medicine, physical therapy, surgery, or lifestyle changes. For most patients, a combination of treatments works best. Their treatments regimen has helped thousands of patients to alleviate symptoms and return to enjoying their daily lives. Our physicians have combined their education and over 30 years in private practice with extensive experience at local hospitals, universities, and medical associations. Dr’s. Kahn, Riskin & Santiago are certified with the American Board of Internal Medicine and the American Board of Rheumatology. Our doctors continue to participate in research studies that provide them the most current information on disorders and treatments.